On The List: 1980s: The 80s were truly a magical time. A time when originality was more important than success and our imaginations created unique and awe-inspiring worlds. We created worlds where cars could talk, zombies could dance, and phone booths could travel through time. Then you had the music. The music of the 80s defined the decade. We banged our heads to metallic maidens and twisted priests, we danced all night long to joyful seagulls and purple princes, we were badder than a musclebound man and we always fought for our right to party. Our appetite for creativity saw the invention of the music video. We turned audio into a visual medium. This transformed everything. Our favorite songs didn’t just sound awesome but they had to look awesome, too. 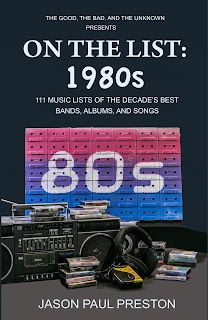 The music of the 80s wasn’t just the soundtrack of our lives...it was our lifestyle. This book is a journey back to a totally radical decade through the bands that helped shape it. 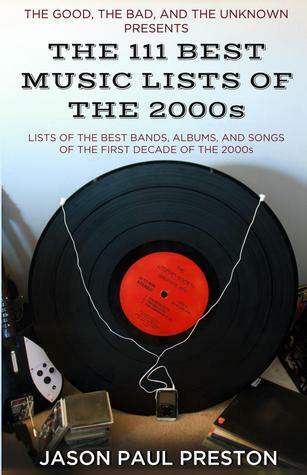 On The List: 2000s: The 60s had the Beatles. The 70s had Led Zeppelin. The 80s had Michael Jackson. The 90s had Nirvana. The 00s had...???? That depends on who you ask. Some may chant Eminem. Others might shout The White Stripes. While the rest may surprisingly vote for American Idol. 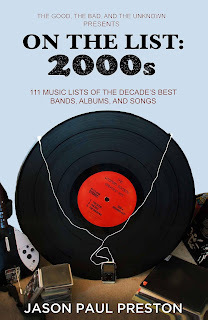 Musically, the 00s were a schizophrenic digital playground, where control over music was taken out of the hands of music directors and was placed back in the hands of the individual. Music flourished on digital MP3 players, where rock lived next to rap next to electronic next to country next to classical...and so on. Every artist had an equal chance on our personal featured playlists, because of this, no one band or genre dominated. Musical exposure was limited. This book hopes to right the ship, to set the course and dig a little deeper than our MP3 players allowed us. "An amazing resource of music." Steve Michaels, Executive Producer "Ring of Fire"